Life Coach Brittany is an international certified women’s empowerment life coach who possesses a masters in clinical family and adolescent therapy. Life Coach Brittany has worked in the field of coaching and empowering women for more than a decade as a clinical counselor and therapist with years of experience in the field of marriage and family therapy, domestic violence and substance abuse. Brittany became certified in the field of life coaching, after a job loss and nearly becoming homeless. This situation caused Coach Brittany to not only become financially broken, but emotionally broken as well. With minimal income and resources, Brittany decided to write out a business plan to create a business dedicated to the empowerment of women. Less than 2 years later, Brittany has gone on to provide coaching services to more than 100 women in need annually around the world and build an online subscription of 6,800 women. Life Coach Brittany additionally has opened an international online Life Coaching school that debuted in January of 2016 and has graduated over 100 students from across the US, the UK, Singapore and Australia. Brittany, was fortunate enough in her first year of beginning Dimensioned Wellness to host a 6 city college tour and has recently co-hosted a 5 city international leadership-empowerment tour. In February of 2016, Coach Brittany created the DW Life Coach Network, the first professional association for life coaches globally. This association holds over 200 + members from around the world to include (Canada, Ghana, Singapore and the United States). Most recently Brittany has continued to provide motivational speaking internationally and has participated in a TEDx in South Africa. Coach Brittany has been featured on the TD Jakes Talk Show, The Huffington Post, CBS and NBC News, Essence Magazine and several other national and international publications for her work as a leading life coach to women. 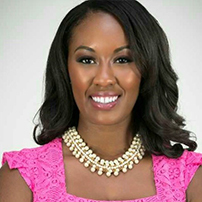 Coach Brittany is additionally the author of Dear Pinq, a dedication and self-help book for millennial women seeking to turn their struggle story into their success story. The book features personal life lessons in love, career, finances, wellness and more.